WOW WOW WOW!!!! You GUYS! YOU DID IT! IF you're not sure that your store has ordered this fabric make sure you ask if they have spoken to their FABULOUS MODA fabric rep and ordered this fabric! We are so ecstatic with how this fabric has been received and for all those shop owners that have already ordered, thank you! We thank you from the bottom of our heart! 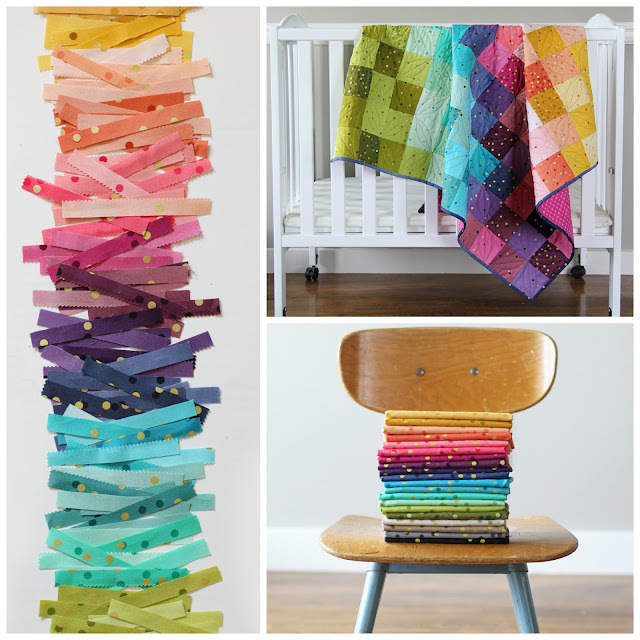 OH and PS tomorrow there will be a Jelly Roll giveaway on my INSTAGRAM account...so go check that out! 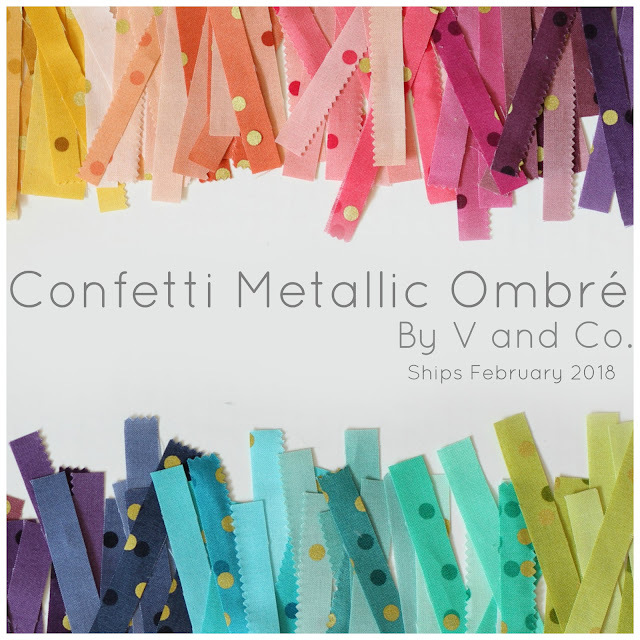 New Patterns for V and Co Confetti Metallic Ombre Fabric and sale! HELLO! I'm So Excited to FINALLY show off on the blog our new patterns for our new Confetti Metallic Ombre fabric shipping to stores February of 2018. The great thing about these patterns while they feature this great new fabric...it works perfectly with our V and Co Ombre fabric we've had in stores and in our shop for years. Our new fancy pants Confetti Metallic Ombre will feature the same 20 colors that our V and co ombre are, but just added sparkle and happy. 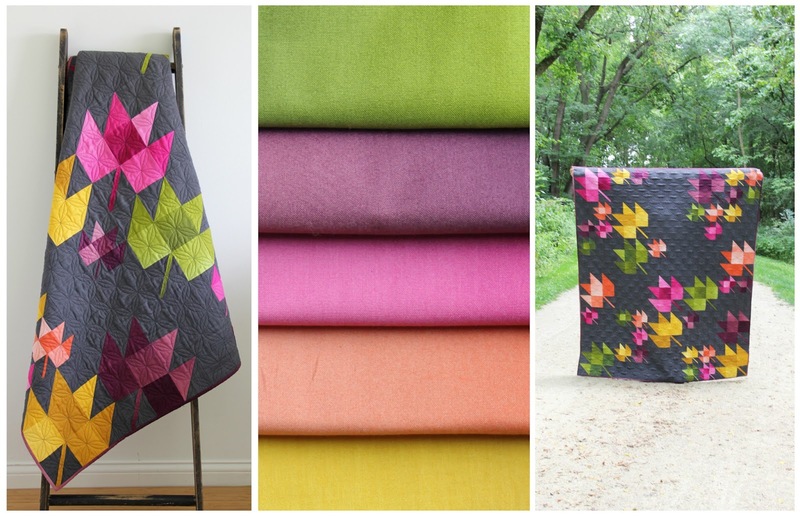 :) Please contact your local quilt store or your online store to request that they carry the fabric! We are having a labor day weekend sale of 30% off all pdf patterns and when you buy a V and Co traditional ombre bundle we will include a free PDF with purchase. Please continue reading to get details! 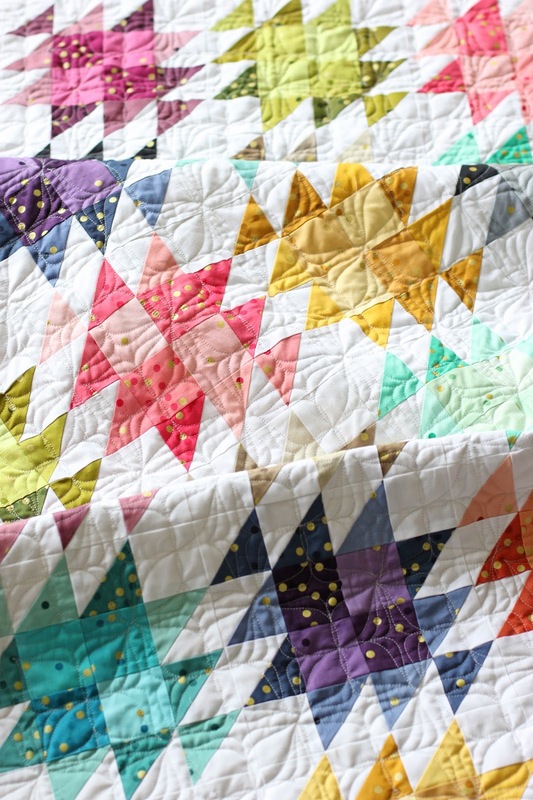 Named after our new ombre because doesn't it look like confetti being thrown around? 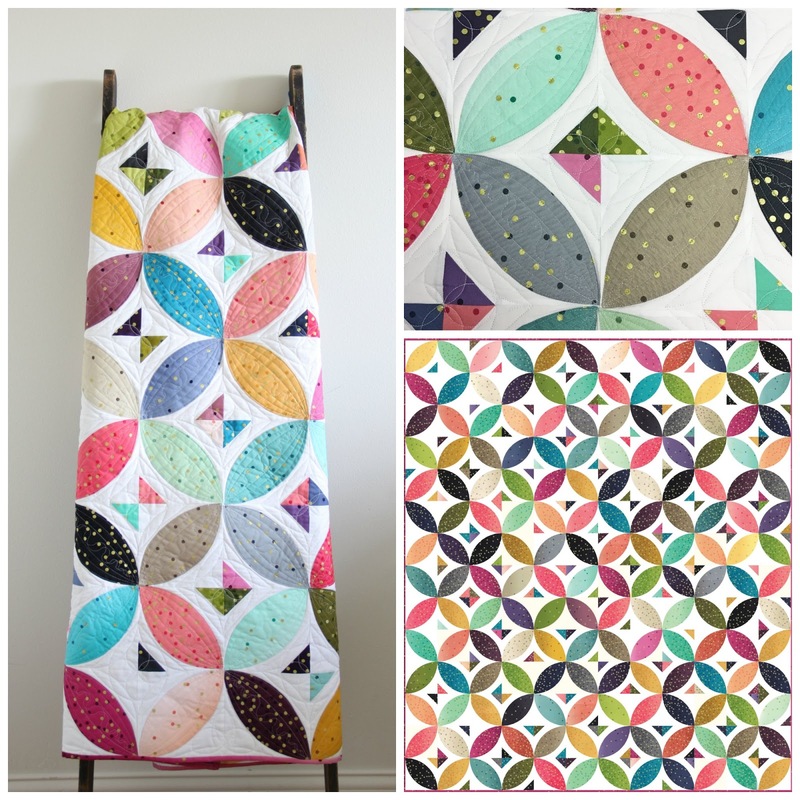 This pattern comes in three sizes and uses a fat quarter bundle to make! All 20 colors are used in this quilt but it looks like you use so many more fabrics because of the gradient in the ombre fabric. 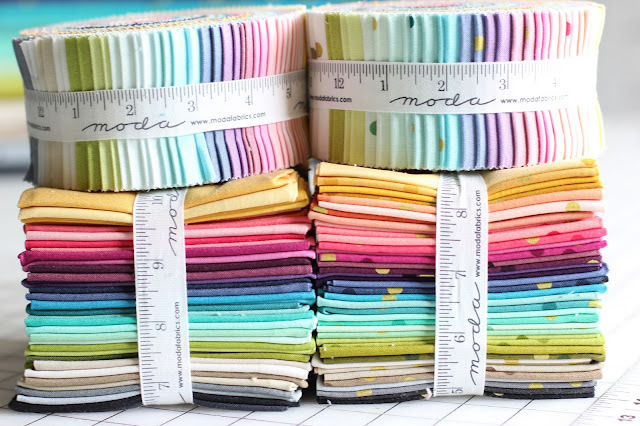 In our pattern we specifically show you how to cut the ombre fabric to get the look! It also includes color diagrams and images. 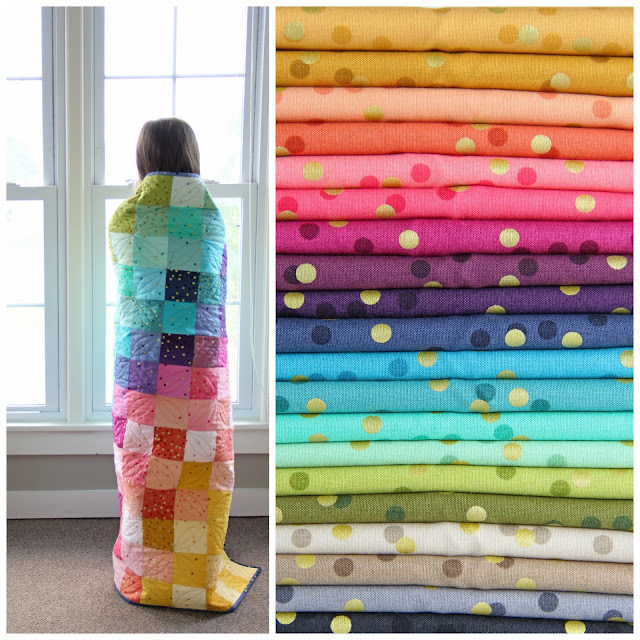 This would be a great pattern to try out our V and Co ombre fat quarter bundle we have in our shop. or mix and match the Confetti ombre with the regular ombre as well! 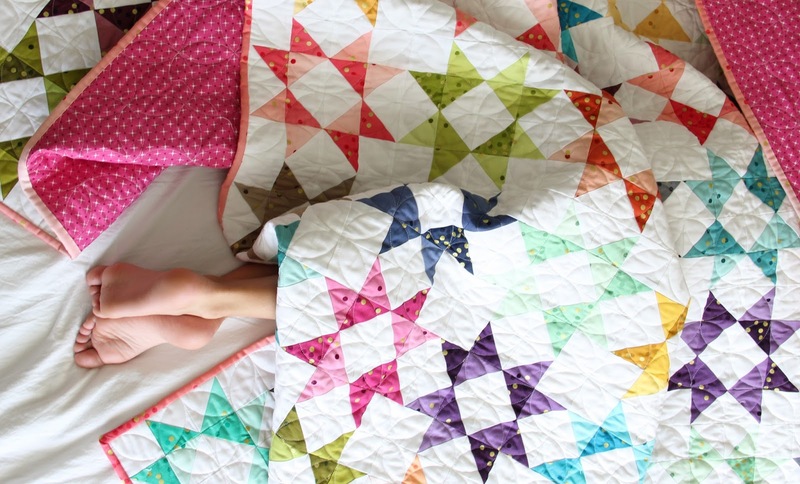 This is a great beginner quilt. 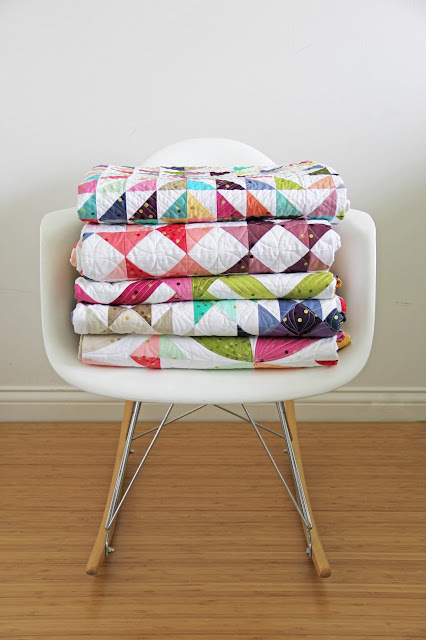 or BUY FAT QUARTER OF V AND CO ORIGINAL OMBRE BUNDLE HERE and receive the Confetti pattern for free! 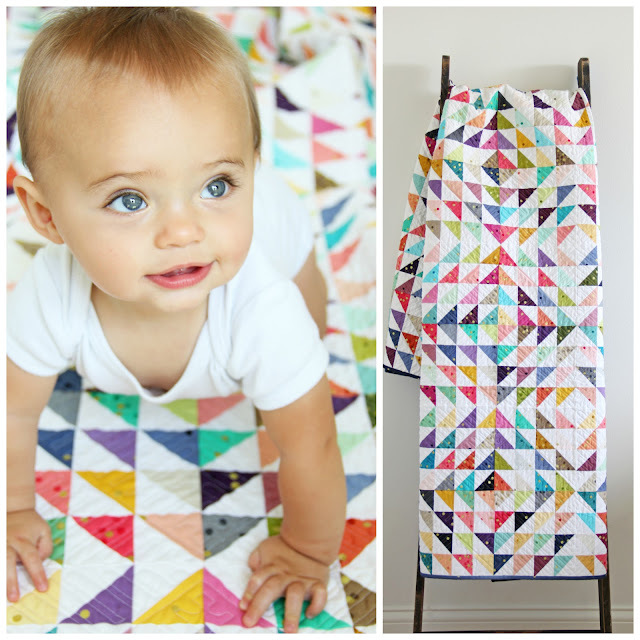 This beautiful quilt uses all 20 colors and measures at 47" x 57 1/2" and is the perfect small throw size for a child. Or a great baby's quilt. Want to make it bigger? 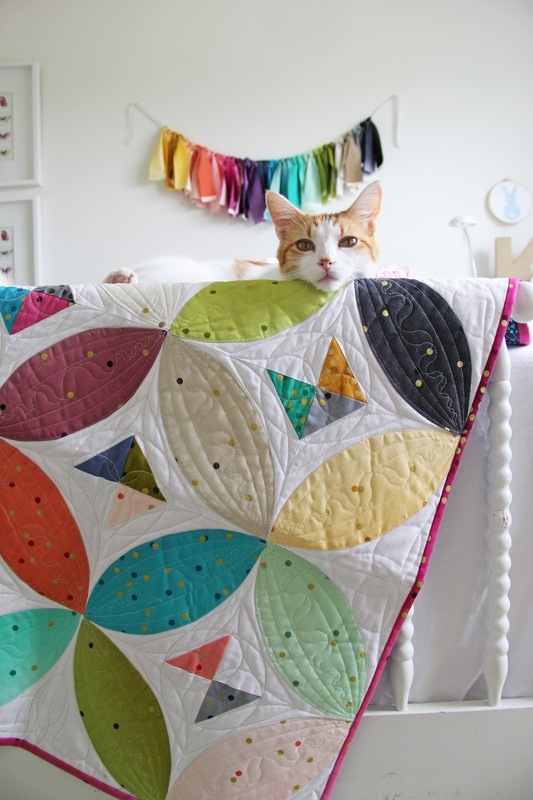 Just double the the fabric and get a great large quilt! 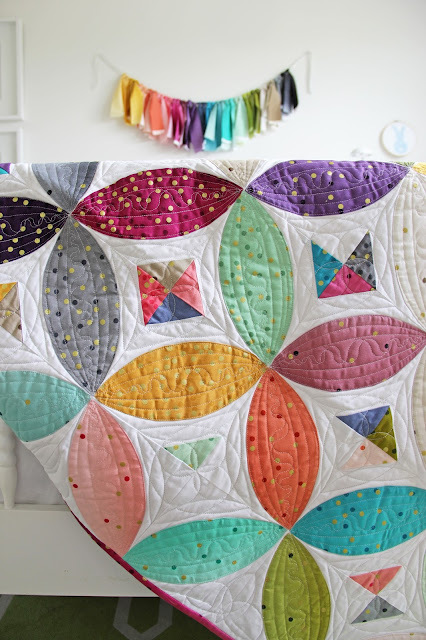 This quilt is Jelly Roll friendly and we show you in color diagrams and illustrations how to cut the fabric to achieve this look. Template is included in pattern. 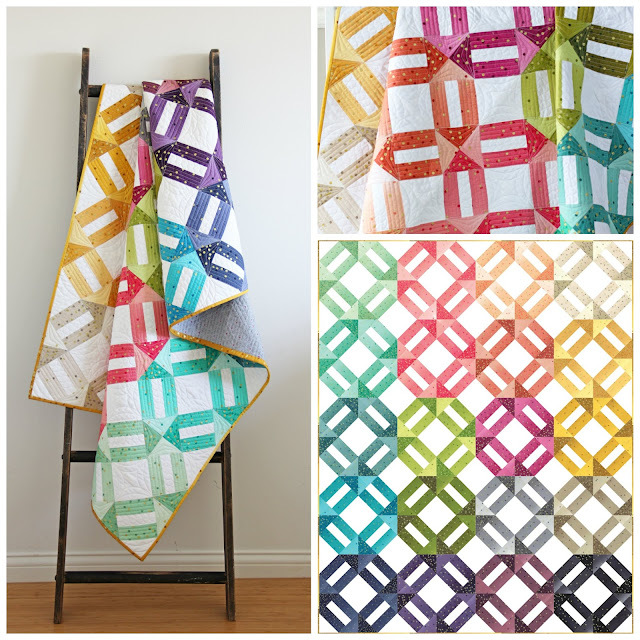 Again this quilt uses all 20 colors of the V and Co ombre available. 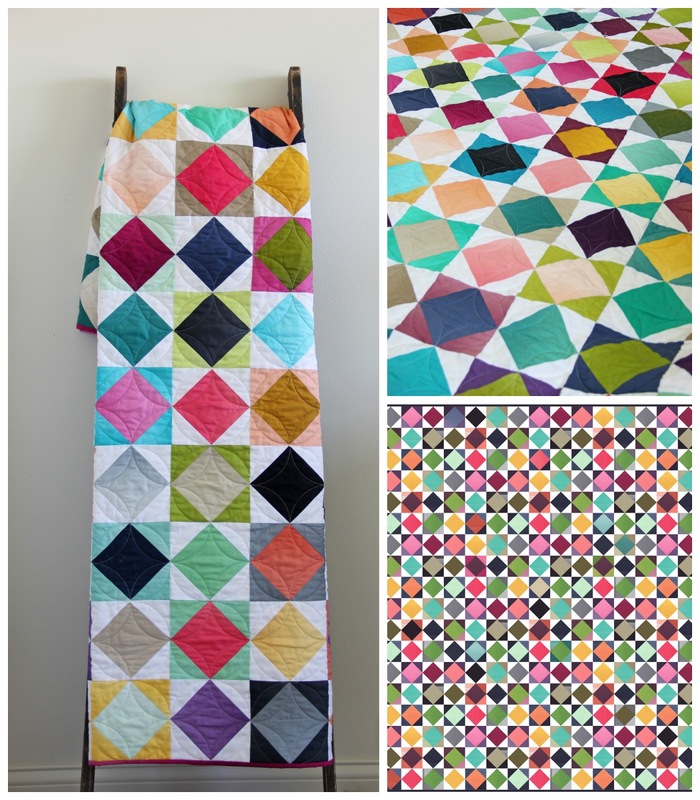 It takes a half yard bundle to make the largest size available in the pattern of 80" x 96"
This pattern includes color illustrations, diagrams and pictures and step by step instructions. 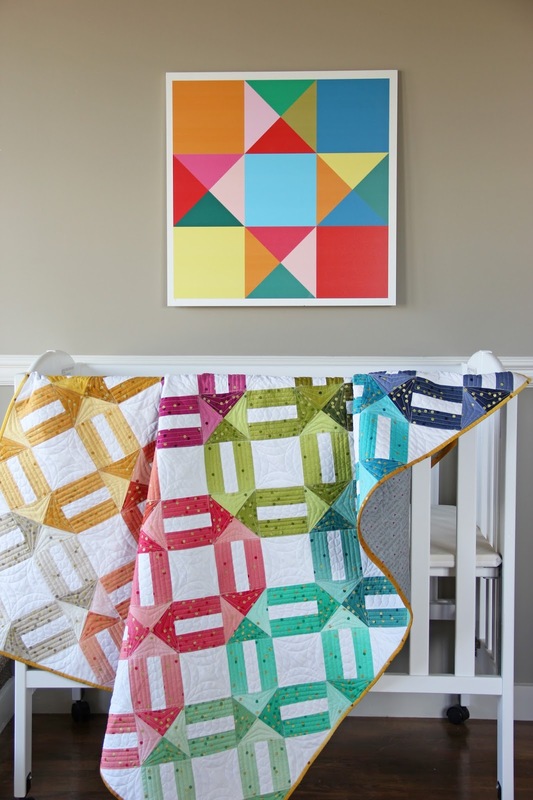 Great beginner quilt! Three sizes are included in the pattern. Candy Wrapper is made using applique and traditional piecing. 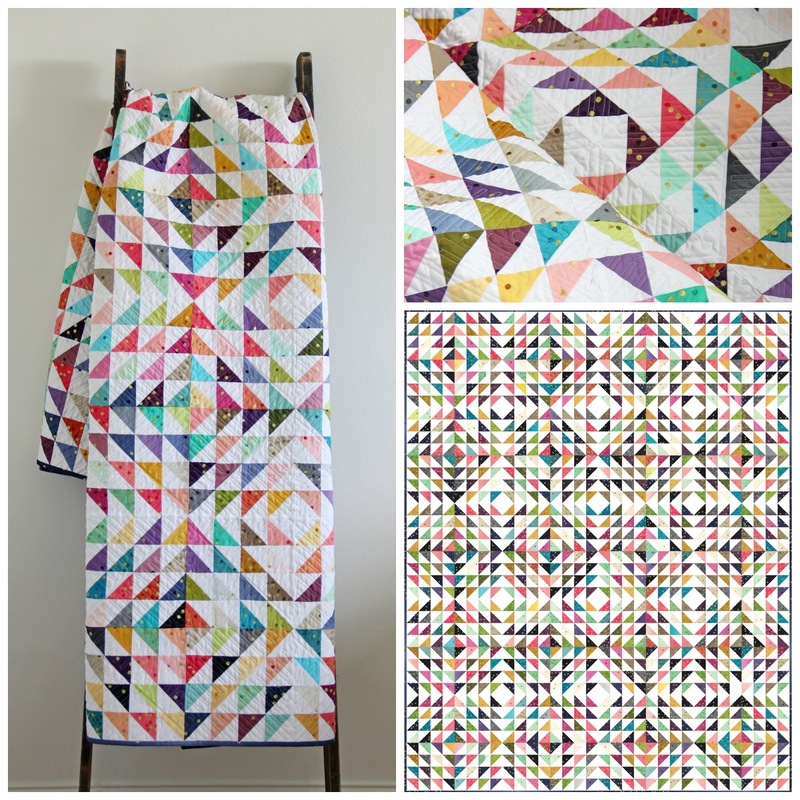 This quilt is made out of a Fat Quarter V and Co Ombre Bundle, and comes with instructions on three sizes. 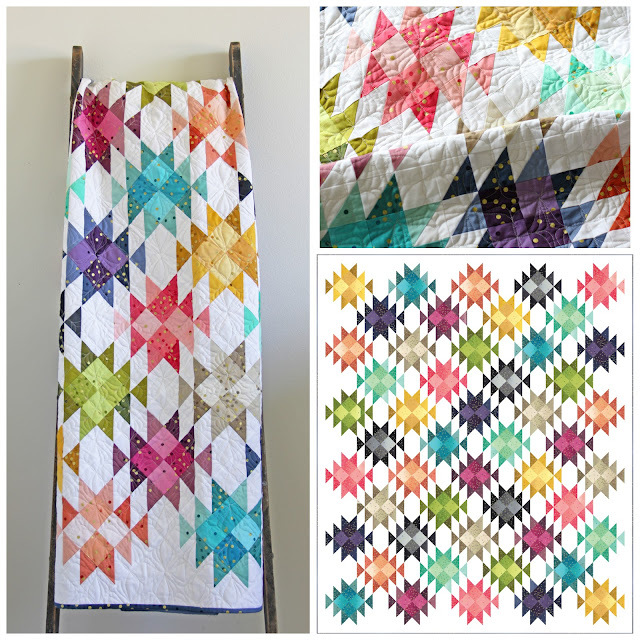 The quilt featured on the cover is 72" x 90". 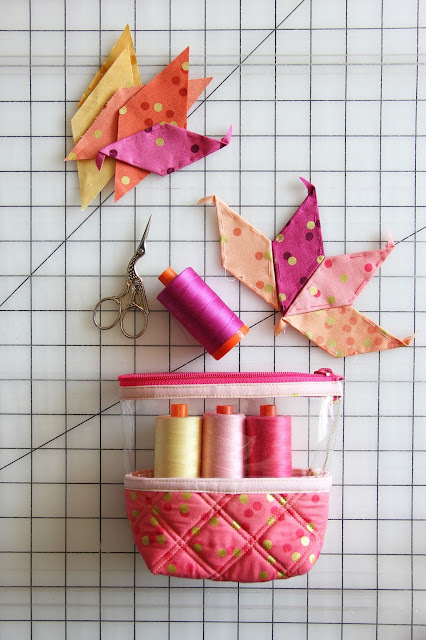 The pattern includes step by step instructions and color images, diagrams and illustrations to help you along the way. Another great beginner quilt! Finished size of the quilt on the cover is 56 1/2" x 68". 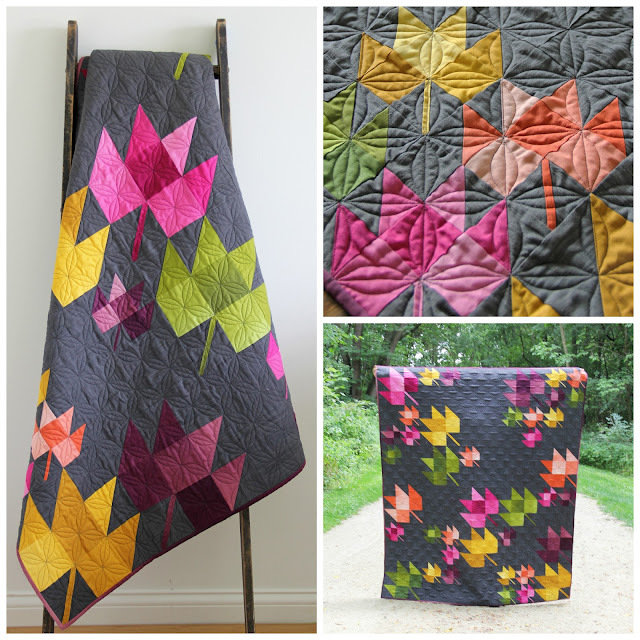 Pattern includes three sizes of quilts. 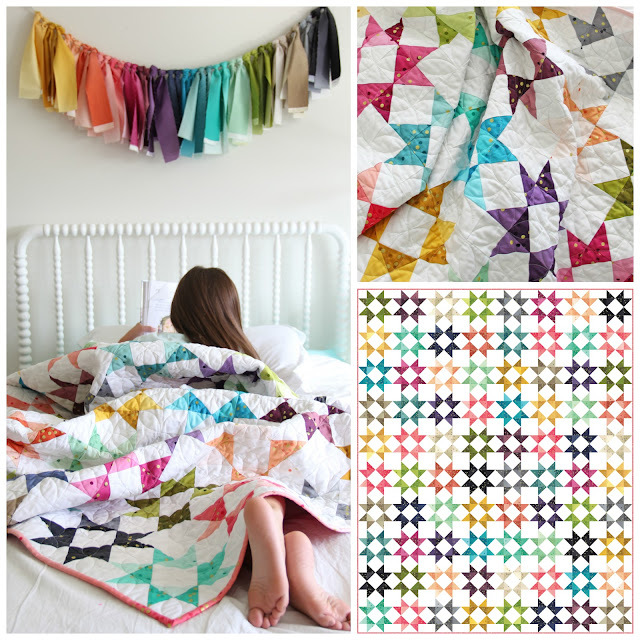 This quilt features all 20 of our V and Co Ombre colors and is a beautiful quilt to show off how these fabrics look so great together! 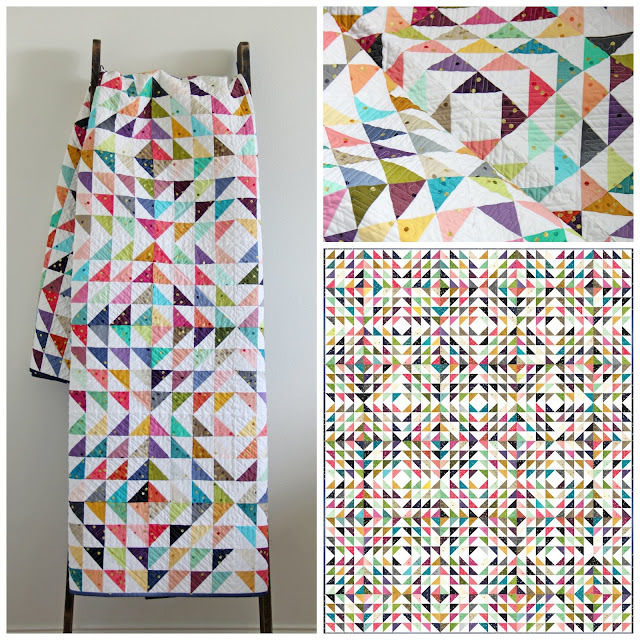 Step by step instructions with color images, diagrams and illustrations to help along the way. Uses a fat quarter bundle for the size shown on the cover. And there you have it! All 5 new patterns! But we also have such great designers using our fabric for up and coming patterns as well! 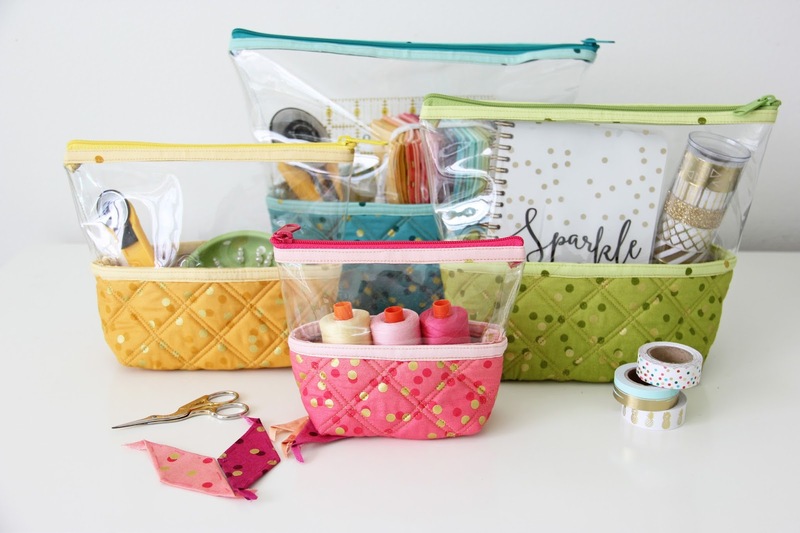 Check out Kaitlyn of Knot and Thread has made some beautiful project bags with our Confetti Ombre! This pattern has 4 different sized bags with clear tops so you can see what you have in your project bag! 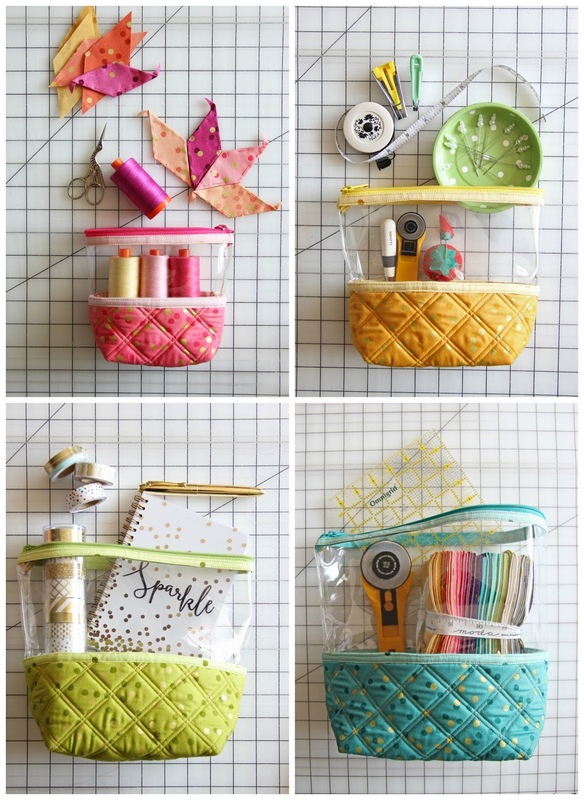 No more needing to scramble and make a mess of your bag because you can clearly see (ha! see what I did there?!) what you have in each bag because of the clear top! Such a neat pattern! Her pattern will be made available soon! 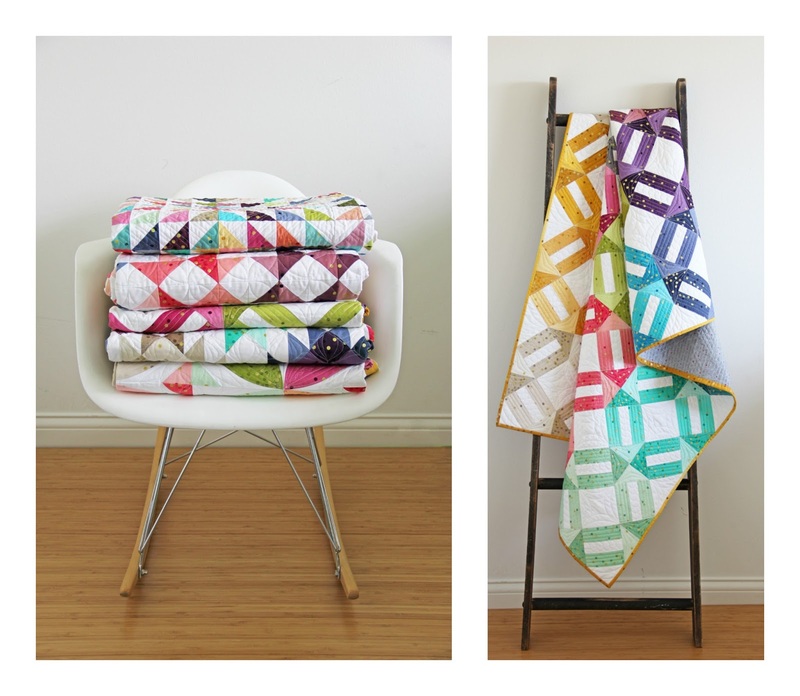 Thank you already for all the Love and excitement over this new fabric of ours!